We all agree with this quote. Right? India, being a diverse country, has so many cultures and a variety of traditional dishes from every state. Some regions are rich in tradition, while others excel in technology, agriculture, and artistic history. Every part presents something unique. To recognise the distinctive uniqueness connecting various places and products, the well-known GI tag came into existence. It helps the country’s export market and promotes economic prosperity of the producers. 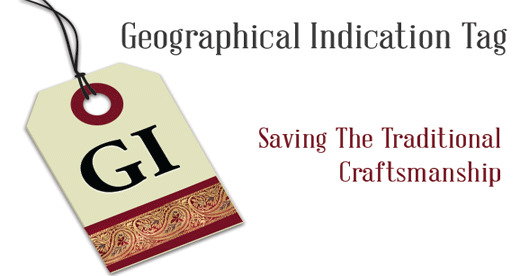 The Union Textile Minister – Smriti Zubin Irani – has stated that the GI tag helps not only weavers and artisans but also consumers. It is an assurance that we are getting the right product from genuine artisans/producers. You might have heard about Darjeeling tea, Bengali rasgulla, Kashmiri pashmina, or Gir kesar mangoes. Did you know that Darjeeling tea was the first Indian product to get the GI tag? These items enjoy a specific reputation with this additional label. You can also buy GI-tagged products online right away at reasonable prices. To make the things easier for you, we have penned down 14 GI-tagged products. Check them out. 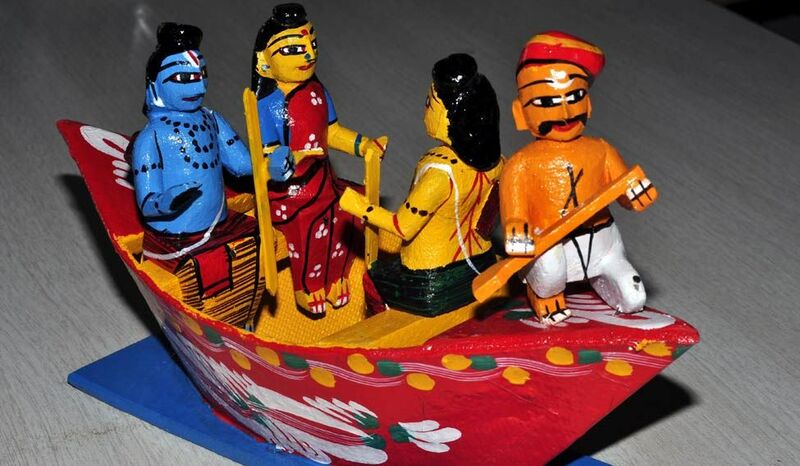 These toys are made in Kondapalli, a beautiful village in Vijayawada district of Andhra Pradesh. The ubiquitous world-famous artefacts go off the shelves fast, especially during special occasions. 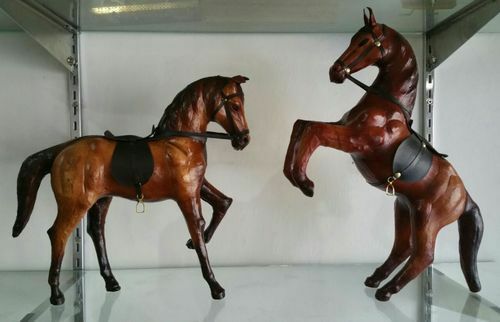 The unique feature of these figurines is the raw material used to make them – a rare variety of softwood known as tella poniki – sourced from the nearby forests. The indigenous toy makers – who create such masterpieces – had migrated from Rajasthan in the 16th century, bringing their craft to Kondapalli. Yes, crafting these figures is not a cakewalk. It takes longer to create one. Why not? Best things always take time; wouldn’t you agree? The toys are made covering themes such as mythology, rural life, and animals. Kondapalli soldiers, real-life scenes, ambari elephants are most-loved by all. Can you think of a better way to learn about the vivid Indian heritage? Buy these small wonders now and discover their exquisiteness! This juicy favourite of one and all needs no introduction. And there is no dearth of its most awesome varieties in India. Talk about Andhra’s banganapalli mango and your mouth will start watering. Well, these GI-tagged delights made Andhra Pradesh the registered proprietor of the tropical yields. These mangoes have been grown in the state for over 100 years now. The king of fruits is very popular due to its unique aroma, taste, size, shape, and appearance. The distinguishing feature of banganpalli mangoes is that their skin is thin and bright yellow in colour. The one-of-a-kind fragrance and to-die-for sweetness of this firm, juicy, and fibreless fruit is something one can just not get enough of. No wonder, about 5,500 tonnes of these mangoes are exported annually to countries like the UK, US, Japan and the Gulf nations. When are you ordering your share of these rejuvenating and divine delights? Joha rice from Assam is always every rice lover’s first choice. This GI-tagged staple is popular for its exquisite aroma and taste. It is believed that joha’s unique flavour and delicate texture is due to the specific climatic conditions prevalent in the area it is grown in. The amazing fragrance and small grain size make it perfect for pulao, fried rice, and famous Assamese delicacies such as payas or kheer. You can try making this delicacy at home and relish it the way you like. There is an interesting fact about this much-sought-after rice. Its use dates back to Ramayana. As per popular belief, khorika joha was used by Ravana to entice his brother Kumbhakarna to wake up from his deep sleep. Intriguing, right? Wait no more. Order this naturally scented rice now! From the heart of Chhattisgarh comes an exquisite art form known as Dhokra. This specialised on-ferrous metal craft is done using the lost-wax casting technique and is more than 5000 years old. Its roots go back to the ancient city of Mohenjo Daro. Each piece of Dhokra art – meticulously shaped by the expert local artisans – is always in great demand in the domestic as well as foreign markets due to its instinctive and primitive style. The handcrafted and ethnic figures add an aesthetically attractive appeal to your decor. All the motifs are inspired by ancient folk culture and are well-known for their rustic simplicity and appeal. Dhokra art is also used to craft accessories, utensils, and jewellery pieces. It takes many years for the artisans to become adept at creating stunning pieces of Dhokra. Buy some of the most exceptional artefacts and fall in love with their intricate designs and patterns. We can’t buy happiness, but we can buy mangoes. And that is kind of the same thing. Isn’t it? Saffron-coloured kesar mangoes are grown around the foothills of the Girnar mountains in Junagadh district of Gujarat. These fruits are unique in their taste and are unbelievably delicious. They tend to be a big favourite around the globe. The succulent bites are not only rich in flavour but are also coupled with numerous health benefits. They help in fighting cancer, improving eyesight, aiding in digestion, and boosting the immune system. Have the satiating delight as it is or use it to make delicious desserts, smoothies, and mango cream pies. Did you know that presenting a basket of mangoes is considered as a gesture of friendship in India? Double the fun. Make friends over some ripe and juicy mangoes! Stock on the best and hand-picked Gir kesar mangoes right away. It is rightly said, “With a cup of delicious tea in your hands, anything is possible.” Apart from its scenic beauty, Kangra valley in Himachal Pradesh is also well-known for its exotic tea gardens. Yes, the GI-tagged leaves emanate a unique flavour and are loved for their unparalleled taste. Both black and green teas have been produced in Kangra valley since the mid 19th century. It is believed that these tea bushes are exclusively China-hybrid and are mostly organic. The delightful aroma and taste of this popular beverage will soothe your senses and relax your nerves. The world-famous Kangra tea is also known to protect you from a range of illnesses and is loaded with several health benefits. It reduces the risk of heart attacks, aids weight loss, protects bones, boosts the immune system, and is high on anti-inflammatory properties. What’s more, regular intake of this wholesome and refreshing beverage also helps you maintain beautiful skin. Tea producers have come up with a variety of exotic flavours of Kangra tea – herbal, wild tulsi, kesari mango, crushed ginger, mandarin orange – just to name a few. Make your morning healthy and energetic with a cup of authentic Kangra tea! Buy it online and relish its distinct flavour. No matter what our age is, we all have some kind of unbreakable bond with toys. From battery-operated ones for toddlers to some exquisite leather ones for the grown-ups, there is so much to choose from. You must have heard about the leather toys from Indore. Crafted from 100% real leather, these handmade beauties are just right to add a touch of old-world Indian folk culture to your interiors. The lifelike figures are very popular in India and beyond. And why not? The smooth finish and true-to-life motifs are absolutely awe-inspiring and praise-worthy to say the least. From decoratives to utilitarian items such as pet table and mooda, the professionals can mould just about any shape and it will be stunning for sure. If you are looking for some exquisite and traditional handicrafts for your drawing room, these figurines are just perfect for you. Beautify your interiors with realistic and incomparable glory of these splendid items. Like the much-acclaimed American actor and filmmaker Al Pacino said, “Without coffee, something is missing.” Don’t we all agree? From late night studying, meeting an old friend after long to asking your crush out, this magical drink works in every situation just right. The earliest reliable proof of coffee drinking or knowledge dates back to the mid 15th century. And since the 17th century, our fine Indian varieties have been acclaimed globally for their distinctive taste and unique characteristics. If you are looking for the finest coffee with an intense aroma, Arabica beans from Karnataka are a must try! The soft, sweet, and delicate taste of the GI-tagged beverage makes a perfect cup of satiating espresso, due to its thick texture and low acid levels. Along with its exquisite flavour, it is loaded with several health benefits and is free of calories too. Can it get any better? It also helps in keeping you hydrated and loaded with antioxidants at all times. 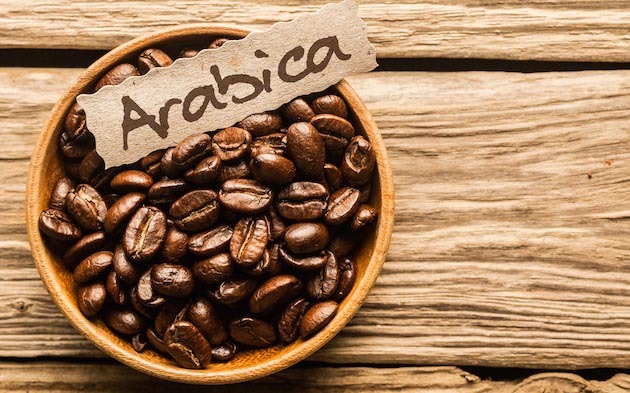 Robusta coffee is prepared from the coffea canephora plant and is used widely all over the globe to prepare espresso or as a filler in ground coffee blends. If you are a lover of bitter, deep, and strong beverages, robusta will fulfill all your desires. It comes with low acidity levels and has a distinctive earthy taste. Did you know that robusta coffee accounts for 40% of the coffee produced in the world? It contains almost double the amount of caffeine when compared with Arabica coffee. The wholesome beverage – sharp, rich, and dark – comes with several health benefits. It reduces chances of cancer, boosts memory, protects from cardiovascular diseases, and even promotes weight loss. If you are looking for an extraordinary sweet, Karnataka’s special Dharwad peda is for you. The mithai is an absolute delight for your taste buds. Made from pure khoya, sugar, and elaichi, it is famous all over India and beyond. 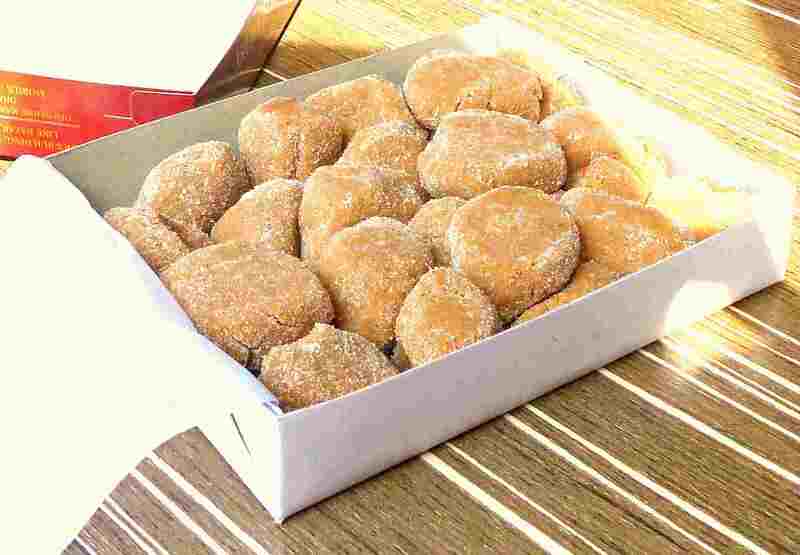 Dharwad peda is believed to be originally made by the Thakur family, who migrated from Uttar Pradesh to Dharwad in the early 19th century. The sweet has a rich and boastful history of 175 years. This delicacy has been accorded with the GI tag, making it a specific reputed product of Karnataka. And this also makes it the only state with maximum GI-tagged products. Order this traditional dessert with an appealing aroma and lose yourself in its divine flavour. Who doesn’t love the various handcrafted products our country has to offer? I guess we all do. From Rajasthan and Maharashtra to Odisha, the options are endless. The colourful state of Gujarat is famous for its handmade marvels. Unique, traditional, intricate embroidery is a speciality of the women of Kutch. It is beautifully done over silk, satin, and cotton fabric. 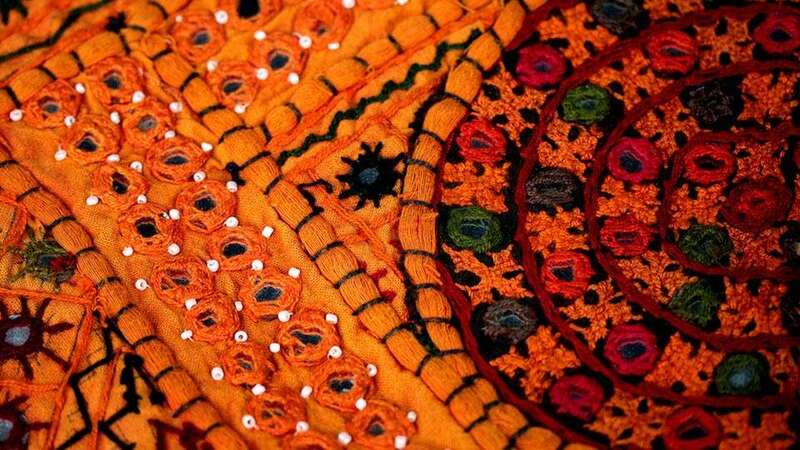 The artform includes different kinds of artistry such as rabari embroidery on bed sheets and yards. The rich history of Kutch embroidery is traced to the 16th and 17th centuries when people migrated from countries like Afghanistan, Greece, Germany, and Iran to Gujarat. And it has now become an art, with skills passed on from one generation to the next. If you are planning a trip to Kutch, it is incomplete without seeing and buying the meticulously crafted Kutchi products – dupattas, handbags, and more. Buy handcrafted products online and feel the intricate beauty yourself! 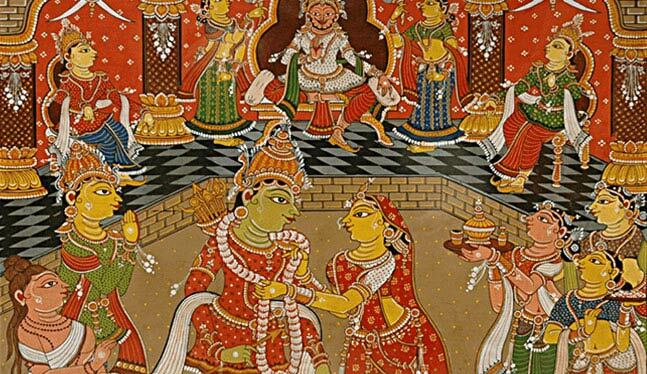 Pattachitra style of painting is one of the most popular and oldest art forms of Odisha. The name itself depicts its meaning – patta is a Sanskrit word which means cloth and chitra refers to painting. This art has various forms of mythological themes. Beautiful stories relating to the Mahabharata, Ramayana, Lord Krishna, Shiv Parvati, and Sri Jagannath are so stunningly carved that they are absolutely awe-inspiring. The paintings are done on canvas – with the help of vegetable dyes and traditional organic colours – and are mostly inspired by creative motifs of Hindu Gods and Goddesses. What makes them so distinctive is the definite feeling of emotion – which is envisaged in their work. It is believed to have its genesis in the 12th century. Don’t you want to decorate your home with this incredibly beautiful and antique art right away? If yes, then buy the paintings now and adorn you home with these lovely creations! 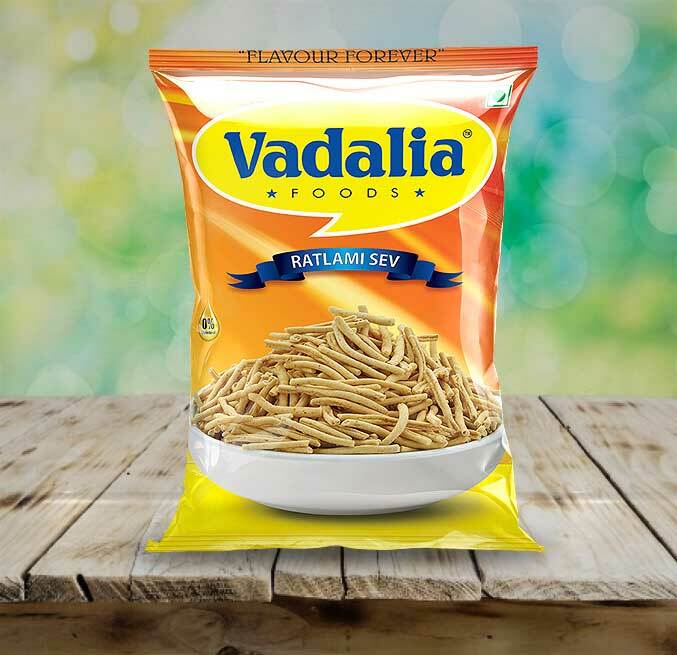 Ratlam is famous for Ratlami sev – unbeatable, distinctive, and savoury titbits. The crispy and fried snack is loved for its unique texture, taste, and non-staining quality. Ratlami sev has attained global recognition and is even exported to Gulf countries and America. The crispy sev can be enjoyed with tea, poha, and used in various chaat items. This spicy namkeen from Ratlam depicts the authentic flavours of the city. What’s more, you have an appetising array of different varieties – hing sev, poha sev, khatta mitha mix, pudina mix, laung hing sev, and tomato sev. The GI certification now safeguards Ratlam’s sev manufacturers from duplicity of their products. Did you know that Ratlami sev dates back to more than 136 years? This traditional Indian delicacy is now just a click away. Who doesn’t love rasgulla? These white balls have been granted the GI tag, making them native to Bengal after four years of battle with Odisha. The spongy spheres, dipped in sugary syrup, are made of chenna and are a huge favourite all over the globe. 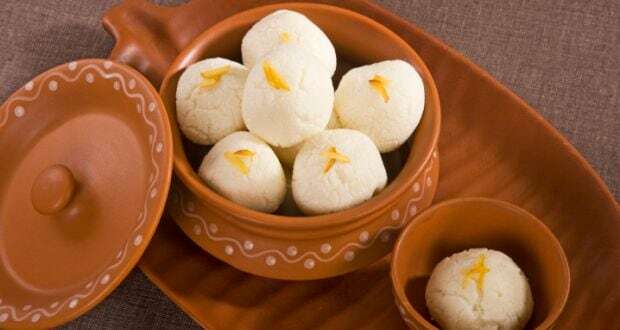 Food historians believe that the pioneer to the sweet rasgulla was probably kheer mohan – a chenna dessert which originated in Odisha – and was offered to the deities at the Jagannath Temple in Puri. Rasgulla is now considered as Bengal's most famous culinary delight. Did you know that it is believed to have been invented in West Bengal in the year 1868 by the Kolkata-based confectioner Nobin Chandra Das? You can even overwhelm your loved ones by preparing rasgulla custard pudding and satisfy your sweet tooth with this easy recipe. Order authentic roshogolla from Kolkata right away. Indian products have an identity of their own – be it handicrafts, agricultural produce, or food – you won’t see anything like them elsewhere. It’s time to delight yourself with the world’s most unique items. Order now!